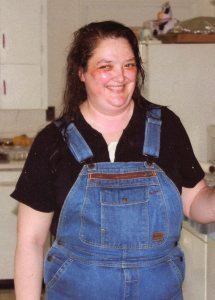 Rhonda Michelle Gant Martin, age 48, of Somerville, AL passed away Tuesday, April 09, 2019, at Decatur Morgan Hospital in Decatur, AL. She was born November 16, 1970, in Hartselle, AL to Edna Jaco Gant and Marvin Gant. Rhonda was an assembly worker at Sanmina Corporation in Huntsville, AL., and of the Baptist Faith. She was preceded in death by her brother, Ricky Lynn Gant. She is survived by her husband, Robert E. Martin of Somerville, AL; her mother, Edna Jaco Gant of Somerville, AL; her father, Marvin Gant of Water Valley, MS; one step-daughter, Linda Collins of WI; two step-sons,Travis Martin of WI and Karson Martin of IL; one sister, Roxie Parker (Dave) of Lombard, IL; one brother, Marvin Gant, Jr. of Brook, IN; one granddaughter, Karin Martin of WI; several nieces and nephews. Those serving as pallbearers will be Alan Henderson, Steve Butler, Ray Jaco, Lawrence Hull, Justin Jaco and Jimmy LeMay. Arrangements are being handled by Neal Funeral Home, 231 N. Military Avenue, Lawrenceburg, Tennessee. The family will receive friends from 11:00 AM to 3:00 PM Saturday, April 13, 2019 at Neal Funeral Home. Funeral services will be conducted at Neal Funeral Home at 3:00 PM Saturday, April 13, 2019, with Bill Webb officiating. Interment will follow at Brace Cemetery in Lawrence County, TN.